My Name is Fabien Castel. I have been Adam Tolmach’s apprentice for the last 13 years. I grew up in Paris studying Biology and Advertising. My relation to wine is visceral as in France it is part of everyday life from an early age. I grew up exposed to many old and young wines but never to formal training until I started working at the Ojai Vineyard. There I became aware of the process of tasting and the intricacies of viticulture and winemaking. Under Adam’s guidance I discovered the terroirs and climates of the central coast. 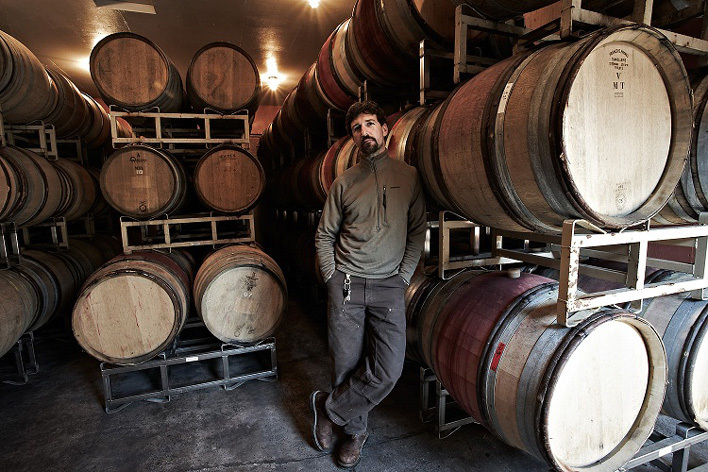 I followed his relentless quest to marry the attributes of our latitude with the experience of craft oriented old world winemaking techniques and sensibility. I completely subscribe to Adam’s desire to keep the texture and warmth of fruit we get every year in California and add a sense of elegance and freshness found in European wines. I am now dedicating a lot of my time explaining the uniqueness of this quest and how it translates in The Ojai Vineyard’s wines.